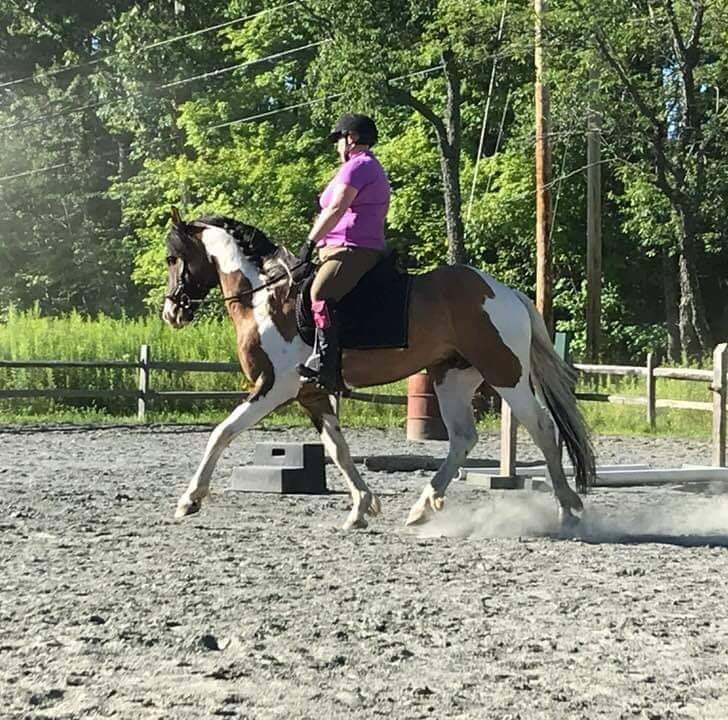 Northeast working equitation trainer Amanda Lamoureux will be teaching about obstacles from the “ease of handling” phase of working equitation. Working equitation is a new and growing horse sport that combines dressage and obstacles to develop the partnership between horse and rider. It can be ridden in any style of equipment with very few limitations. It’s open to horses of any breed and type including gaited horses. It’s great cross training for riders from any discipline. 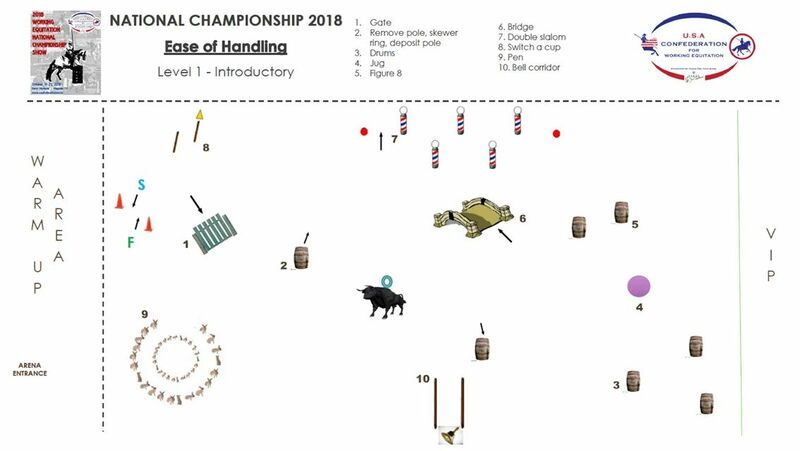 This clinic will start with a morning lecture and demo on some of the obstacles that are used in working equitation and information on course planning and working equitation info and rules. Then the participants will be broken into groups based on experience for small group mounted riding sessions (3-4 riders) that will last 75-90 minutes. We will work at several of the obstacles and then try a course if there is time. If there are more advanced riders we will work on obstacles, courses and navigation. Amanda has been riding her whole life and teaching riding for 20 years. She started out with dressage trainers from Germany and South Africa and has trained with many instructors with various backgrounds since. She has trained in many horse sports including gymkhana, jumpers, extreme cowboy challenge, dressage, endurance, eventing, fox hunting, and versatility. She is now focused on the sport of working equitation and developing it in the northeast. She spent 5 days in October 2018 at a Working equitation officials clinic developing her skills to be a technical delegate and judge. During that time she worked under top WE officials and developed a deeper understanding of WE and it’s rules and technicalities. She enjoys the combination of classical training and challenging obstacles and the technical nature of the sport. She rides it in dressage style on 1 of her horses and western on the other. Hi Amanda, would love to audit.